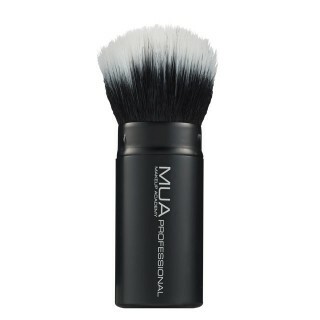 Cleverly engineered mixed-fiber brush for impeccable skin perfection. Professional stippling brush features a combination of natural and synthetic dual-level bristles which pick up, layer and blend foundation to give an incredible photo-ready finish. The varying bristle lengths allow you to layer wet or dry products beautifully, creating sheer to buildable color and buffing the skin to an exceptional satiny finish. This is the perfect brush for my bronzer. 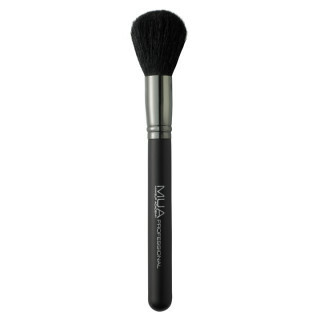 The white bristles at the top are very soft and make for a perfect application and virtually impossible to over-apply. 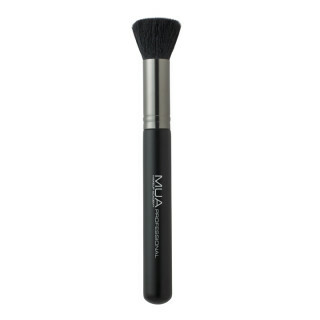 This is a high-quality brush at a surprisingly affordable price, giving the MAC and Sephora brushes a run for their money!